PESHAWAR -- The women of Khyber Pakhtunkhwa (KP) are defying stereotypes and traditional gender roles, choosing work reserved for only the bravest men and women. Three sisters from remote Sabirabad, Karak District, are among 12 brave KP women who opted to fight terrorism and extremism by joining the 24-member KP Bomb Disposal Squad (BDS)'s commando force. The sisters, Parveen Gul, Samina and Rukhsana Naz, said it was a dream come true when they heard about the first BDS-trained policewomen. They completed their Elite Commando Training in 2016 and joined the Explosive Handling School Nowshera in January. They passed the basic 15-day BDS training in February. One of the 12, Rana Qaseem, was promoted to the advanced BDS course soon, which will last 30-45 days. The entire provincial BDS has about 500 personnel. The other eight female BDS commandoes who graduated with the three sisters come from the militancy-hit districts of Nowshera, Abbottabad, Hangu, Charsadda, Mardan, Buner and Bannu. The young women, who received training on heavy weapons, protective gear, explosive handling and physical combat, say they are committed to ridding KP of the terrorism that has robbed many women of husbands, fathers or brothers. Parveen Gul said she used to dream about becoming a policewoman when she would see police patrols while walking to school. "We are proud that our father, despite having polio, did his best to educate all of us," she told Pakistan Forward. "So now we have taken up the family burden from him." "It is an honour to be part of the force that is out to save the motherland and peoples' lives," said Pari Gul, an explosives specialist, adding that she is "never frightened of bombs and explosives [...] I like the challenge." "It's just a normal thing when I am wearing the gear, and I really enjoy it,"she said. Rukhsana, who specialises in defusing concealed explosives, said she hopes the women commandoes will inspire others to join the force. "We wanted to give a message to girls that it is not only a man's job," she told Pakistan Forward. "We can defuse bombs and save our people." Rukhsana said she is determined to take any active operation against the militants and to use her skills to defeat their explosive devices. Samina said she initially joined the force to help support her family, but now it has become her passion to serve the nation. "Daughters are not a burden; they are equally strong to serve their families and country alike," she told Pakistan Forward. "In the next phase we are opting to go for specialised training in defusing toy bombs [bombs made to look like toys], suicide vests and booby traps," she said. "It is our mission to fight the terrorists and save our countrymen," she said. "I am not afraid; one has to die one day. It would be an honour to die with my boots on." Recently retired KP Inspector General of Police Nasir Khan Durrani initiated the idea of including women police commandoes for elite training and for the BDS to utilise the talents of brave Pashtun women, he said. "Three years ago, there was no arrangement for training police," he told Pakistan Forward. "Today, KP Police have more than 15,000 well-trained officers including women police commandoes and trained women in the BDS." More than 600 women are serving in KP Police in capacities ranging from junior clerk to deputy superintendent, according to police spokesperson Riaz Khan. 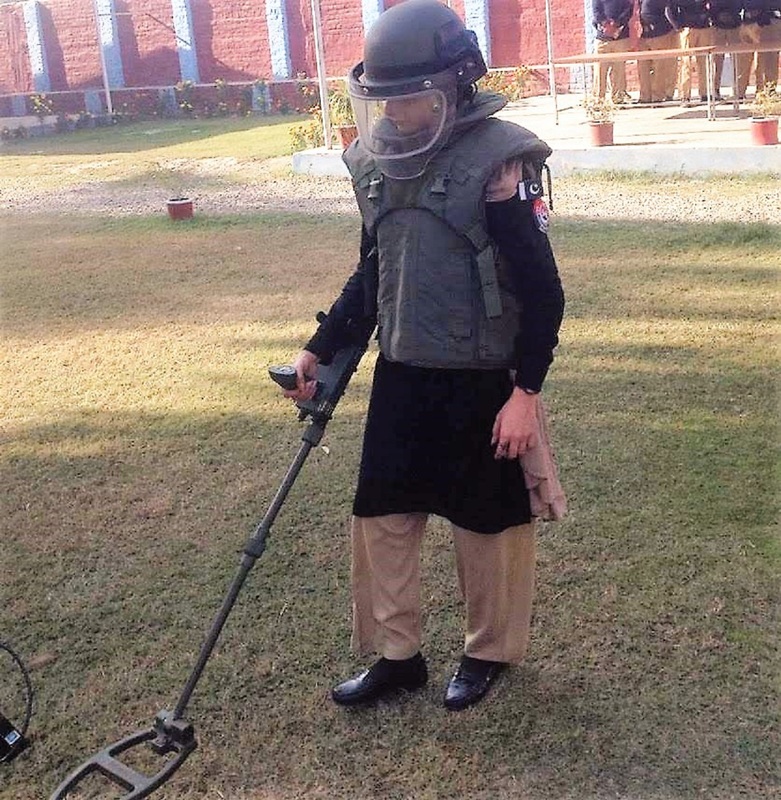 Explosive Handling School chief instructor Nowshera Shafiq Khattak praised the newly trained explosives specialists. "The young brave women have great potential to excel," he told Pakistan Forward, adding that he has found the women commandoes to be "vibrant and fearless in training". Rafia Qaseem Baig received a master's degree in international relations and economics, yet still wanted to risk life in service to Pakistan. 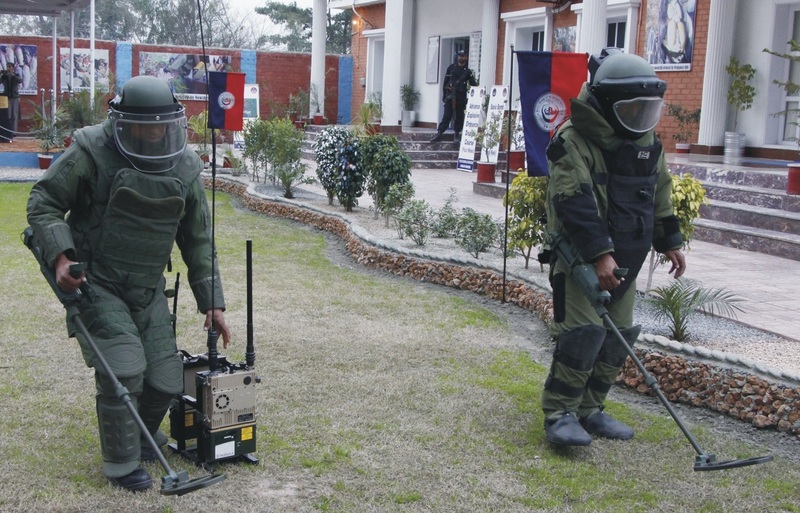 Among the estimated 3,053 police officers who were provided basic bomb disposal training, 86 of them are female.